Twelve-year old girls are in the last year of their pre-teen years. This is a time when the physical, mental and emotional effects of puberty has taken a stronger hold, a transition period into their teenage years. For this reason, 12-year old girls will likely show more concern about their physical appearance and body image. Aside from the physiological effects of hormones, they will also experience more mood swings, feel more stress from schoolwork, and be more short-tempered. Indeed, parents can apparently have a stranger in the house! Fortunately, this is a passing phase and things can become better in the coming years. For now, parents will do well to give the best toys and gifts for their 12-year old girls to ease the transition. Here are the items that we consider can satisfy the changing tastes of the pre-teen girls. LED lights are always attractive to any age group, especially in toys, because of their engaging patterns. 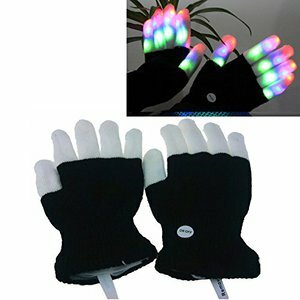 This is true for the LED lighting gloves, too, which has 7 colorful light patterns and 6 modes. The gloves are made of soft fabric and the light patterns can be controlled from the button on the wrist. What's Great About It: While it requires 4 batteries, it’s easy to wear and operate. It also fits most kids and teens so it’s a great gift for most age groups. It can also be used for a wide range of activities, such as in dancing (i.e., props) and hand puppet play. Artists may be born but successful artists are made so by a combination of talent, hard work, and practice. 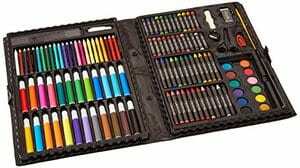 With this 120-piece art set, a 12-year old budding artist will have a great set of tools to practice her talent. The set contains watercolors, markers, pencils, and pastels in more than a dozen shades, thus, the only things missing are paper and the artist. What's Great About It: We like that it’s an all-in-one set that allows an aspiring artist to experiment with different media from watercolors to pencils. You will soon find that your pre-teen is gaining more skills in manipulating these different media on various surfaces from paper to wood. We like that it comes in a beautiful and portable case, too. Getting hands-on experience encourages better learning among pre-teens because the theoretical knowledge comes hand-in-hand with the practical skills. This kit makes it possible to combine the two in building a hundred or so electronic projects including transistor radios, alarm systems, and photo sensors. You, the parent, will even learn a thing or two about electronics along with your pre-teen. What's Great About It: The kit contains all the electrical parts needed to build the working electronic models so there’s just a few tools necessary. 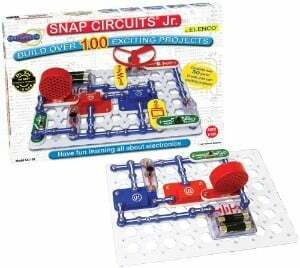 Kids will love discovering electronics for themselves and taking pride in their creations. Parents and teachers appreciate that it contributes to their STEM learning, too. We like that it encourages improved analytical thinking and increases interest in science and technology. Among pre-teen girls, caring about their physical appearance also means adopting good hygiene habits, such as cleaning their nails. You can encourage your 12-year old to start caring about her nails with this spa gift set, which contains most of the tools for good nail care. Your pre-teen has a pedicure pool, nail dryer, nail polish in different colors, and nail buffer, among others. 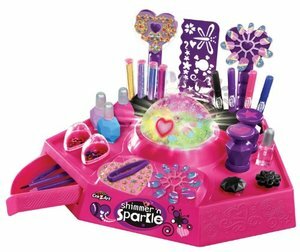 What's Great About It: While it doesn’t have a basic nail cutter, it’s a great gift set for a pre-teen girl who likes nail art. Your pre-teen will enjoy hours of fun with her friends decorating their nails with the press-on nails and stick-on nail art, too. 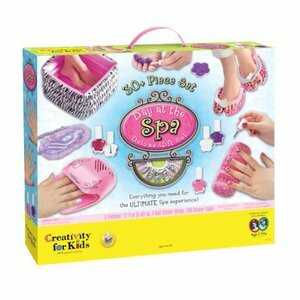 Plus, it encourages girls to be creative with their nail art and to work well with others during playtime. Round and round the Spirograph goes and voila! 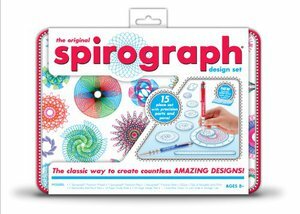 The fascinating patterns created using the Spirograph make for a few hours of fun your pre-teen girl, even for the entire family. Just mix and match different colors, sizes of circles, and patterns to create works of art worthy of more than just the refrigerator door. The set comes with precision wheels, ring, and rack as well as design pad, pens, and putty. What's Great About It: We like the Spirograph because of its classic design adapted for contemporary tastes. Even small children can learn to make spirals in different colors and sizes to create patterns. But the possibilities for patterns are endless so that even as the children grow, they will find new ways to create artworks with it. In the age of videogames, crocheting and knitting may not be as popular as in the past. 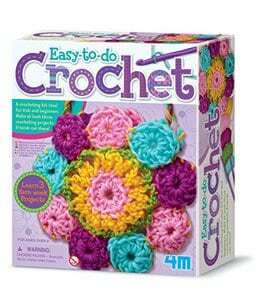 But parents can still encourage their pre-teens to take up the relaxing and practical skill with this crochet art kit. Of course, you should teach your pre-teen about the art or direct her to instructional materials so she can use the kit. Afterwards, she will have the skills and tools, such as the yarns, hooks and needle, to create her own belts, handbags, and scarves. What's Great About It: We like that it has an instruction book and tools to allow pre-teens to start knitting. Plus, crocheting encourages a sense of calm, increases concentration levels, and strengthens hand-eye coordination in pre-teens. These are important in coping well with the increased stress of adolescence. Sleepovers are a tradition among girls in Western countries but it can become boring with the same activities. Then there’s the Sleepover Party Game, which includes over 200 fun activities for pre-teen girls. Your home will likely be the favorite place for sleepovers when your pre-teen child’s friends know about it. What's Great About It: We like that the games are so much fun that these can be used for birthdays, Christmas Eve, and anniversary parties, too, for kids and adults alike. The games are wholesome, too, so parents don’t have to worry about hanky-panky things going on in the bedroom. Body and nail art are such fun that 12-year old girls will use a wide range of materials to create them. This is where this Cra-Z-Art kit comes in, a two-in-one kit that contains tools for both types of art. Your 12-year old girl and her friends will love the nail polish, nail art stickers, body markers, and glitter to make themselves prettier. What's Great About It: This can be used for several types of activities, such as sleepovers, parties, and art day, even as a family activity. The kit contains most of the things needed for making great nail and body art, which are easy to apply and wash off. Also, it’s a great tool for stimulating personal expression through art on the body. Charms are timeless accessories that children and adults still wear them on bracelets. Personalized charms are more appealing than store-bought charms, too, because of their handmade quality. You pre-teen child will then love this craft kit because she can make personalized charms for herself and her friends. 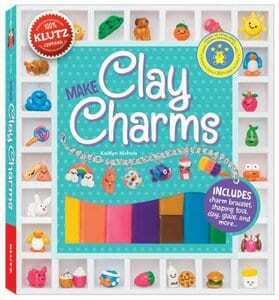 Each set contains an instructional book, molding clay in several colors, and charm bracelet to get her started. What's Great About It: We like that it has enough materials to make 35 different charms, as well as all the things needed to make them. The instructions for making clay charms are also clearly stated. We recommend it, too, because charm-making is an activity that demands creativity, patience, and planning skills. Pre-teen girls may sometimes lack self-confidence but their physical energy is in abundance. 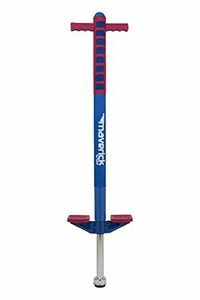 This pogo stick should allow them to spend it on an enjoyable constructive activity and physical exercise. The chrome metal frame has a steel spring, a combo that guarantees safe and fun jumping like a kangaroo. What's Great About It: We like the strip-down design that allows an adult to see if anything’s wrong with the frame and spring. The pre-teen girls, on the other hand, love its safe and comfortable features including the non-slip footpads, foam-padded handgrips, and high-flying jump capacity. But its weight capacity is only 80 to 160 pounds so larger kids shouldn’t use it for safety reasons. Owning a horse is a common dream for many pre-teen girls but it isn’t always possible. 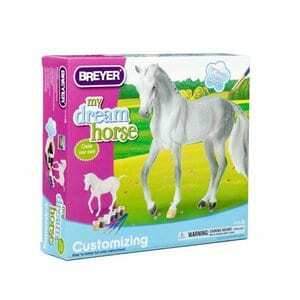 But with this horse painting kit, it’s almost like owning a horse – or two, to be exact. The kit already comes with 2 detailed 6×4-inch Arabian horse models, paint brushes, and acrylic paints as well as an instruction manual. What's Great About It: We appreciate the details in the unpainted Arabian horse model, especially the tail, eyes and hooves. Your pre-teen will have a couple of hours to paint the model horses with their desired colors, be it an Appy or an Arabian stallion. The kit encourages kids to develop an eye for detail, especially in copying real-life details on an animal. Getting tattoos at a young age is, of course, unacceptable in Western cultures. But your pre-teen girl may still like to experiment with them so your best choice as a parent is temporary tattoo kits. This one has temporary tattoos that can be stenciled on the skin but can also be washed away with water. 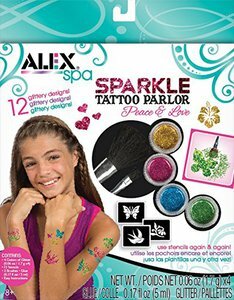 What's Great About It: Each set contains stencils, brushes, glitter and tattoo glue to make your pre-teen child’s first tattoo. This kit encourages her to be more expressive about her personal style, as reflected in temporary tattoos, too. The images encourage positivity, too, with concepts of peace and love. The success of the Hunger Games franchise meant that archery has become more popular among pre-teens and teens. The Rebelle Agent bow-and-arrow set will make you pre-teen child believe that, indeed, she can be the next Katniss – or better yet, the next winning Olympic archer. 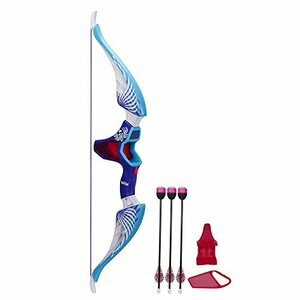 What's Great About It: We like that it actually has a real bow action with the blaster firing arrows as far as 85 feet – and the arrows make a whistling sound, too. The set also contains other accessories that makes the make-believe play of being Katniss complete. More importantly, it stimulates hand-eye coordination, precision shooting, and muscle finesse. Biking is both a physical and mental exercise. Your 12-year old girl has to use her muscles to push the bike forward, maintain her balance, and steer the bike, as well as her brain to plan her route. The Angel Girls’ bike is made from premium materials and designed with safety in mind, too, with sturdy steel frame, pegs, and seat clamp. What's Great About It: We like that it has a girly design that pre-teen girls will love. 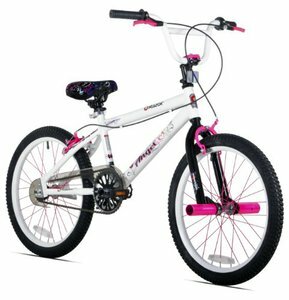 Of course, the more important aspect is its sturdy and strong design that allows a pre-teen girl to enjoy biking on smooth surfaces. Biking in itself has several physical and mental benefits, too. Music is a big part of a pre-teen girl’s life and it should be available when and where needed. The 6th-gen iPod Touch makes it possible to do so without the high price of a full-featured iPhone. You can store hundreds of songs in it while the 4-inch retina display makes it easy to choose from them. What's Great About It: We like its 64-bit architecture and A8 chip, which makes it such a joy to use for your pre-teen. Beyond the technical specs, the iPod exposes her to a wide range of songs from across several genres. Plus, you don’t have to pay for expensive subscriptions. Lego blocks are one of the best ways to introduce kids to architecture and engineering – all the learning without the pressure. 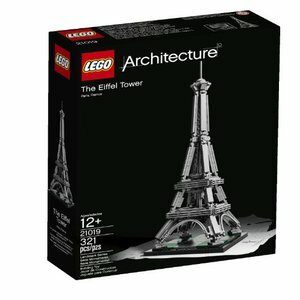 With the Eiffel Tower model, your pre-teen and her friends will become acquainted with a famous French landmark and engineering marvel. The set contains 321 building blocks so there’s also the element of challenging their problem-solving skills. What's Great About It: Lego building blocks build on the child’s keen sense of wonder about the way things fit into each other. Building these things enhances analytical and logical thinking skills, as well as increases sense of pride in their accomplishments. Plus, the finished models can be put on display for everybody to appreciate, a fact that we like, too. In a few years, your 12-year old child will be a young lady – and it means that she will want to experiment with makeup. Get her started on the basics of makeup with this makeup kit, which has mineral-based, hypoallergenic blush-on, eye shadows, and applicators. Be on hand, if necessary, to give her tips about proper application and look for her age. What's Great About It: We like that it’s suitable for young skin since it is hypoallergenic. 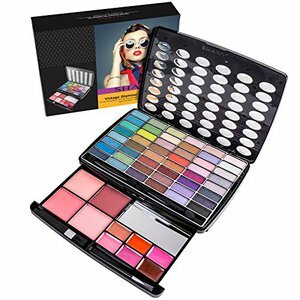 The wide range of colors allow for different age-appropriate looks while the applicators make it so easy to apply makeup. Applying makeup also enhances their hand-eye coordination, eye for color combinations, and personal style. Hair color is one of the ways that 12-year old girls also express their unique personalities because hair, after all, is their crowning glory. But instead of spending hundreds on professional hair coloring treatments, your pre-teen will love a DIY project with this kit. Aside from the hair chalk, which easily adds color to dry hair, there are also accessories for hairdos. 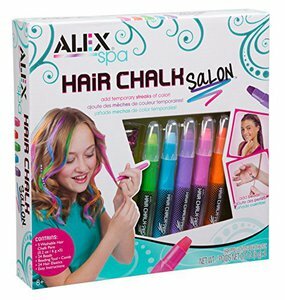 What's Great About It: We like that coloring hair with hair chalk is definitely safer than letting 12-year old girls use DIY hair dyes. The hair accessories are a bonus since these allow girls to experiment with their tresses. 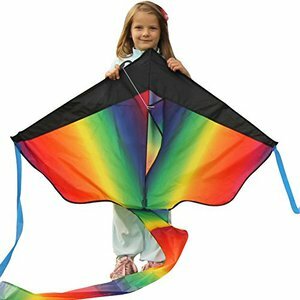 The art of flying kites may well be a lost art but we have the likes of this rainbow kite to encourage kids to take it on. The kite is made from non-toxic, sturdy and strong colorful materials so that it can be used several times in windy conditions. The memories that can be made from kite-flying are priceless, too. What's Great About It: The kite is easy to assemble even for pre-teens although it will require adult supervision to fly it at first. Kite-flying has several health benefits, too, such as the development of physical strength, coordination and balance, as well as cognitive function. Who says that rocket science is only for the boys? We know that women can be rocket scientists and many of them started their careers as children interested in science and technology. You, too, can nourish your pre-teen’s interest with the Giant Rocket Balloon, a set of 85 latex balloons that can be inflated up to 40 feet. Watch as these rocket balloons go up into the air with a bang. What's Great About It: These rocket balloons will obviously not go outside the Earth’s atmosphere. 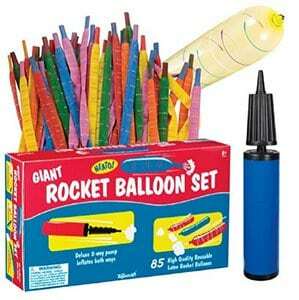 But these are still great tools in teaching pre-teens about the basics of rocket science, not to mention that these are fun to launch. Age-appropriate activities. We considered the fact that 12-year old girls are discovering themselves so these toys allow them to engage in self-discovery. These items are also wholesome yet enjoyable by their standards. Durable materials and construction. We chose the toys and gifts that can actually withstand regular use by pre-teens, especially when these are ridden on. We also considered the overall sturdiness and strength of the toys. Non-toxic materials and safe design. We have to ensure that, indeed, the materials used are safe for sensitive skin and hair. We also considered the reputation of the manufacturer since it has a significant bearing on the overall quality of the toys. The transition from being a pre-teen to a teen in just a year can be filled with opposite emotions – excitement and fear, for example. Pre-teen girls are usually experiencing many physical, emotional and mental changes that can affect their outlooks in life. They are also likely to become more independent and develop their unique interests and personalities. Aside from their changing bodies, they will also experience changes in the way that they look at themselves, how others view them, and how they view others, too. These changes can make them swing between low self-confidence and high expectations, happiness and sadness, and affectionate and rude behavior. Parents, fortunately, can adopt positive parenting methods to help their pre-teens ease well into their teenage years. You should be straightforward and honest with them when discussing sensitive topics like drinking and smoking. You will also want to get to know their friends and show an interest in their school life. We hope that you have been enlightened about your 12-year old child’s developmental milestones and, thus, the best toys and gifts for her. You can also discuss with them about their unique interests and hobbies so that you can make better choices in these things.